Whether you are starting a new business or you are an existing business owner, you will be confronted with decisions everyday that may affect your legal rights or obligations. From incorporating your business, to entering agreements with vendors, it is necessary that you protect your legal rights and interests when you enter into a legal contract. At The Law Office of Blair M. Johnson, we are experienced in representing business owners in the legal transactions necessary for business start-up, the acquisition of an existing business as well as the day-to-day operational transactions requiring legal assistance. 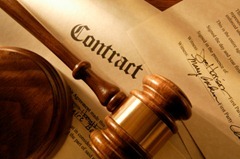 Our business law practice is focused on protecting the rights of our clients. We will assert your interests and make your rights and obligations clear to protect you against future liability. Contact us for an initial consultation. Business formations: We are experienced in assisting clients with new business formation and incorporation. Whether you are interested in starting a partnership, LLC, LLP, C-corporation, or S-corp, we can advise you on the optimal formation to protect your personal interests, your business objectives, and minimize your tax liabilities. We will take into consideration your unique business goals and help you devise a start-up plan that will help to insulate your business from losses and liabilities. Contracts and commercial transactions: Blair M. Johnson has over 31 years in commercial transactions experience. With detail-oriented strategy, we will work with you in creating and drafting business contracts that will protect your immediate and long term-interests. We are experienced in all contracts including partnership agreements, vendor agreements, lease agreements, employee contracts, and any transaction that may arise in the course of your business.